Customers may be interested in your goods or services, but it all means nothing if your team can’t deliver on time. Sales staff can waste countless hours processing orders, contracts, and other paperwork, hindering their ability to serve their clients quickly. Today, your business must be able to adapt how you manage paperwork to avoid disgruntled customers and reduce friction in the sales process. 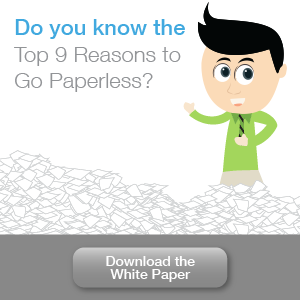 You need a cutting-edge document management system (DMS) like PaperSave, and here are several reasons why. DMS software centralizes and organizes your data in the cloud, so scanned orders, contracts, and invoices can be accessed by authorized employees with any internet-enabled device. This makes file sharing and collaborating on a sale much more straightforward. What’s more, thanks to optical character recognition (OCR) technology, PaperSave converts stored documents into digitally searchable files. So, if you’re looking for specific quotes or contracts, all you have to do is enter a few keywords to retrieve the document. DMS software makes complex, multi-step processes easy. For example, someone may need to get an order approved but not know who to send it to. Oftentimes they’ll pass it on to more senior staff, who then sends it to the appropriate manager. After the manager has approved the document, they’ll need to contact inventory management, confirm whether the item is in stock, create the order confirmation, and ship the product. If done manually, someone will be responsible for moving paper documents from person to person, which costs a lot of time and money. 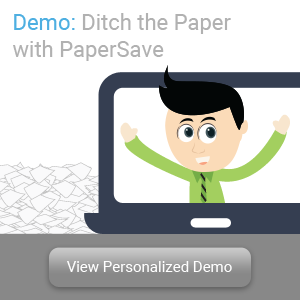 PaperSave’s workflow automation features boost your efficiency. Instead of doing things manually, you can design workflows that route documents to the right person and create reminders to employees for what they’re supposed to do and when. You can even create workflows that automate credit checks, discount approvals, and new customer onboarding, freeing up your staff to do higher-value-added activities. Traditional order entry is not only time-consuming, but it also increases the risk of errors and customer complaints. 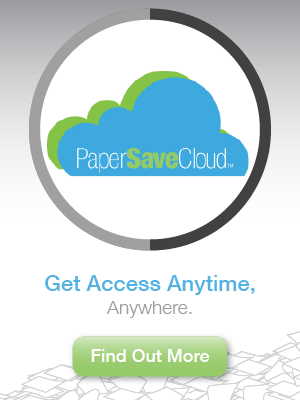 PaperSave helps you avoid all this with automation. Whenever you receive purchase orders via fax, email, or other online channels, DMS software extracts order information using OCR. From there, the information will be stored in your company’s enterprise resource planning (ERP) software. ERP systems like Intacct can then be programmed to validate transactions and generate sales invoices that are sent directly to the customer’s preferred channel (e.g., email, SMS, fax), ensuring zero mistakes and faster delivery times. In addition to workflow automation, PaperSave enables you to track order status in real time. It creates an archive of all important documents, including order acknowledgments, shipment notifications, and delivery receipts, so you can tell how far along an order is to completion. Such visibility allows client-facing staff to promptly respond to customer queries and make informed decisions regarding a product and order. But more importantly, being able to proactively notify clients regarding the order status gives them peace of mind and increases customer satisfaction. Because PaperSave enables you to oversee the full sales order cycle, you’ll also be able to identify operational bottlenecks and make some needed improvements. You may notice that inventory checking is taking longer than it should, in which case you’ll need to create a workflow that instantly accounts for stock levels as you’re processing orders. You may even find problems with shipments that are causing a delay in service. Whatever the case may be, PaperSave gives you full control and visibility to ensure pending sales activities are handled smoothly. Having trouble streamlining sales tasks? PaperSave is a state-of-the-art document management solution that speeds up approvals, eliminates time-consuming tasks, improves customer service, and saves your business from paper! Sign up for a free personalized demo today to test our software for yourself.